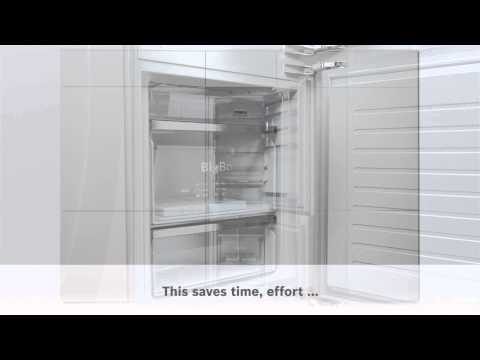 Bosch Benchmark® Series 30" built-in custom panel bottom-freezer refrigerator. This refrigerator features bright all LED lighting, dual evaporators, Optiflex Hinge™ and humidity-controlled crispers. Image shown with panels (Sold separately). Optiflex Hinges are designed to open out and away from cabinetry. 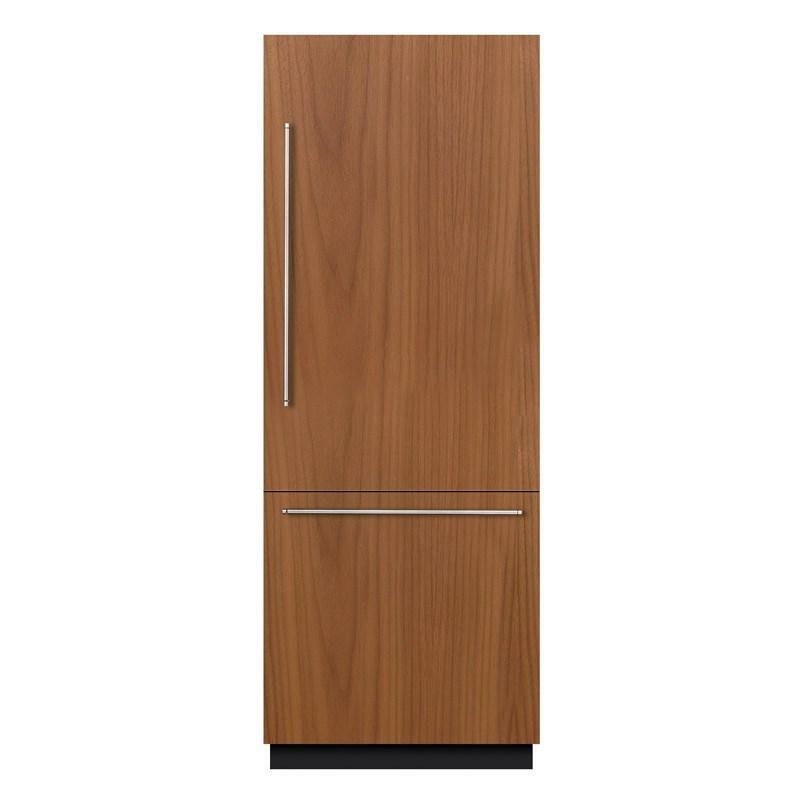 It’s an ingenious hinge construction that allows doors to be mounted flush, yet open to a full 115°, without touching or marring surrounding cabinets. The fan-assisted MultiAirflow System causes gentle, even currents of cold air to emerge at all levels of the chilling and freezing area. Temperature fluctuations are minimized and cooling times reduced – which helps your foods retain their flavor for longer. Superfreeze® allows frozen foods and ice cream to remain frozen when warm foods are added to the freezer. With a quick push of the superfreeze® button you’ll be able to freeze warm foods and the original freezer will reset after 24 hours. Refrigerator 11.2 cu. ft. / 0.32 cu. 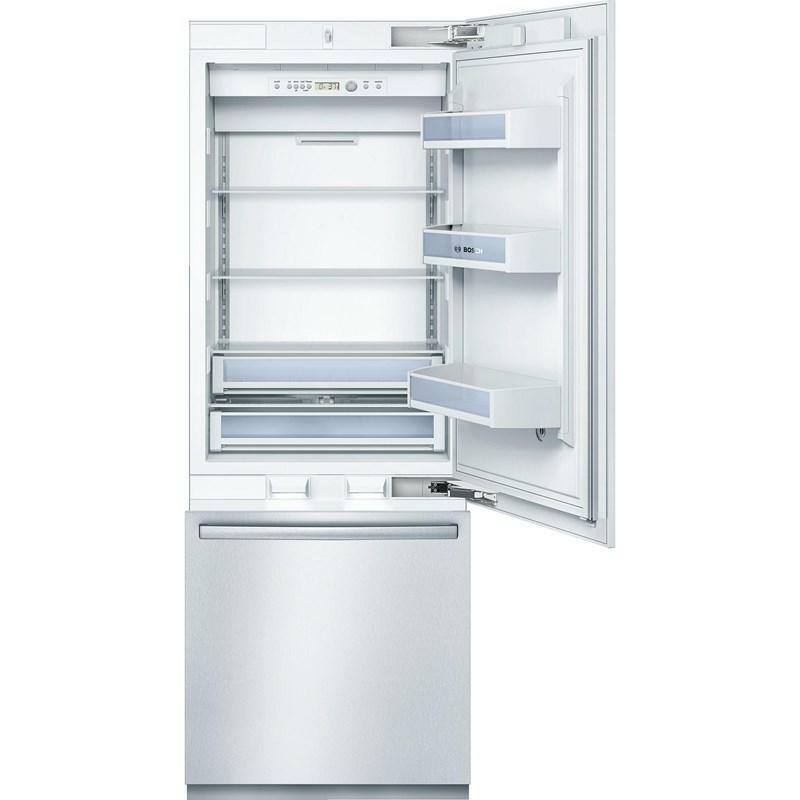 m.
Freezer 4.8 cu. ft. / 0.14 cu. m.
Additional Dimensions Required cutout size (H x W x D): 84" x 30" x 25"